A new slate of officers for the year 2015-2016 was nominated and elected at CESE's Annual Meeting (June 27th, 2015). 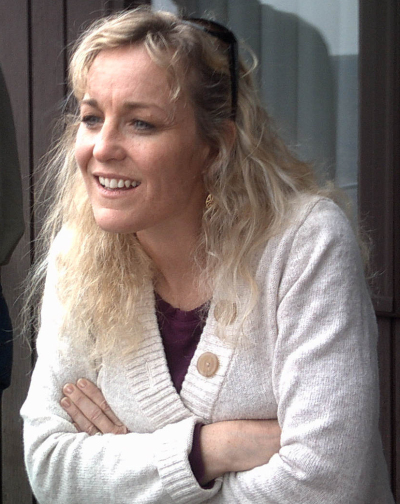 Leading CESE for the next year is new president Lisa Durkin. The vice-president/ president- elect for this year is Jessica McCord. 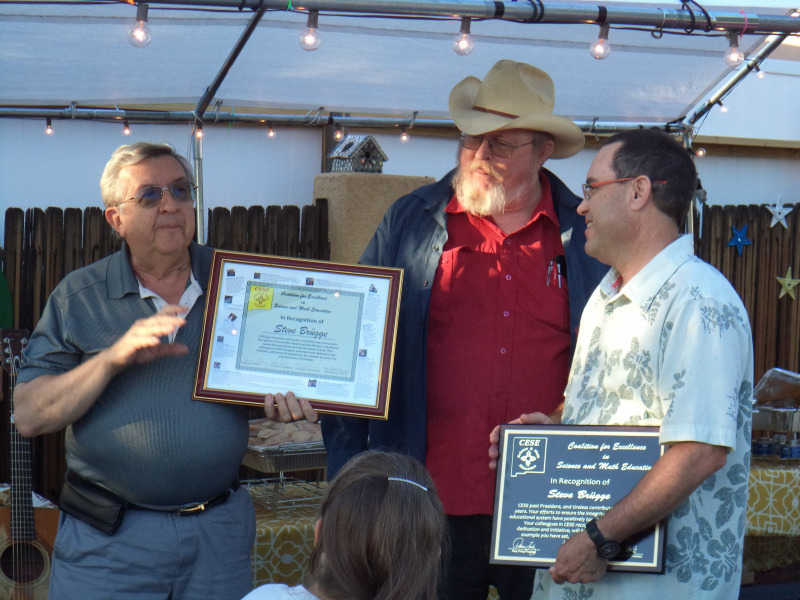 Steve Brügge will continue as treasurer, and Marilyn Savitt-Kring is staying on as secretary. 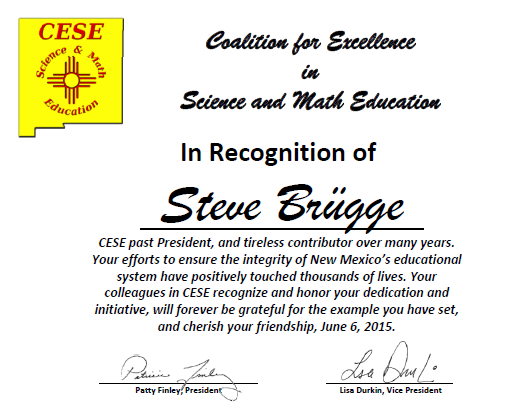 Other CESE board members are Marshall Berman, Cindy Chapman, Terry Dunbar, Patty Finley, Jack Jekowski, Jesse Johnson, Kim Johnson, Becky Reiss, Dave Thomas, and Ken Whiton. Jerry Shelton asked to change his status to board member emeritus, which gives him all privileges except voting rights. 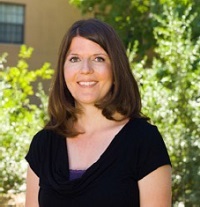 CESE thanks outgoing president Patty Finley for a fine year of service at the helm. 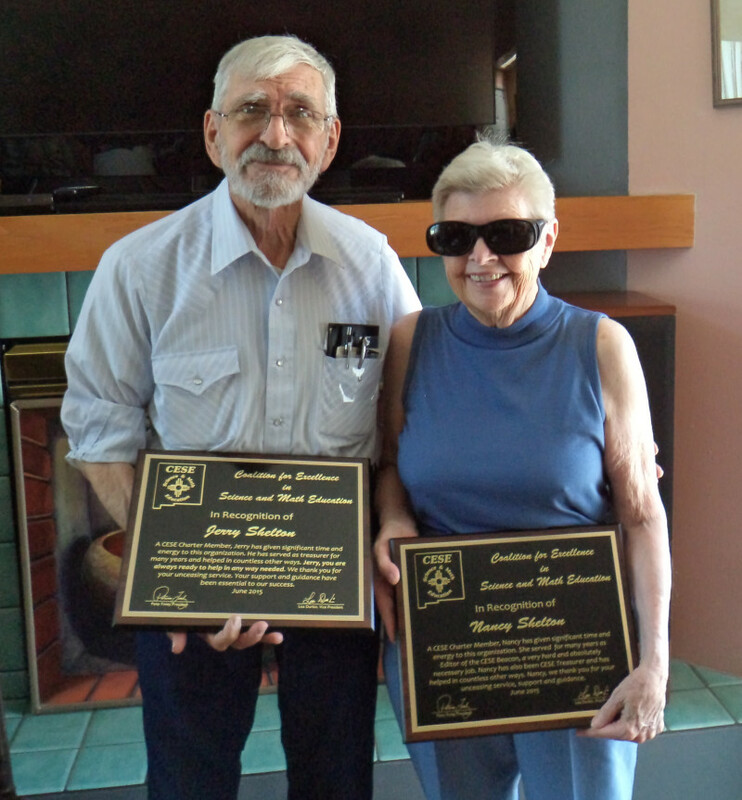 Jerry and Nancy Shelton were honored with plaques commemorating their years of service to CESE. At the meeting, which was held at the home of Buzz and Patty Finley, long-time CESE supporters Jerry and Nancy Shelton were given plaques honoring their years of service with CESE. 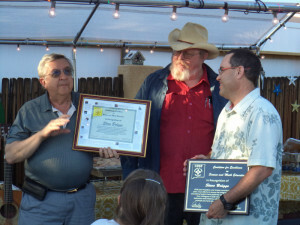 Earlier in June, CESE treasurer Steve Brügge was also given a CESE plaque on the occasion of his retirement from teaching. 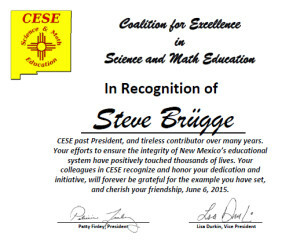 In addition to the certificate below, Steve also got a copy adorned with salutory comments on his teaching, from an online Albuquerque Journal story.